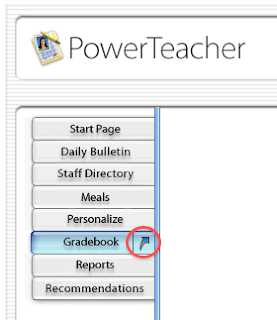 before you can launch your gradebook! Or do you really need to scroll? 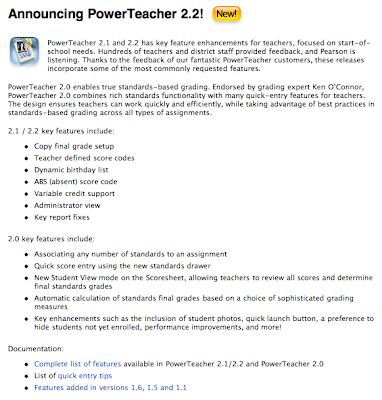 Pearson did listen to some of the complaints of having to scroll through all of that text, and they have provided us with a "Quick Launch" button. I refer to it as the "non-scroll launch." 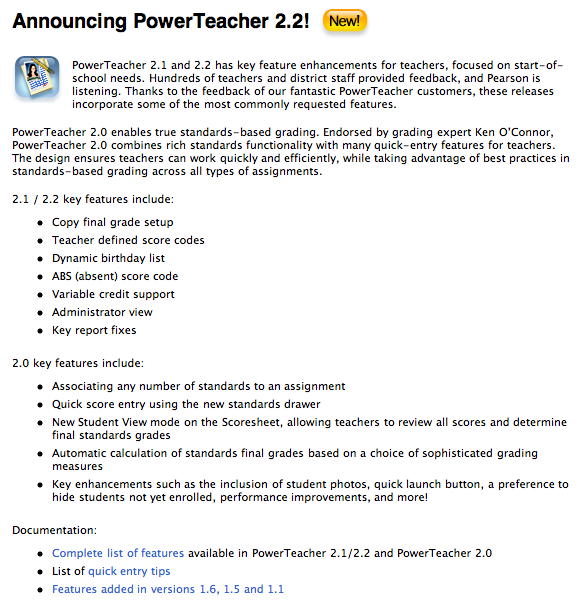 You can do this in two simple steps while signed in to PowerSchool. 1. 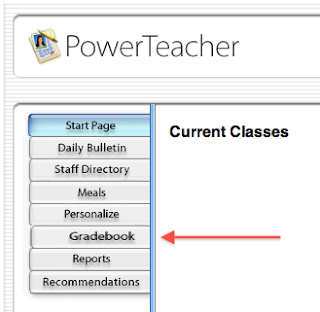 Click on the "Gradebook" button in the left pane. 2. Click on the "Quick Launch" arrow. This does the same action as clicking on the "Launch Gradebook" button at the bottom of the page, though it saves you from having to scroll. I think this is a step in the right direction to speed up the process of opening our gradebooks quicker. I would be happier if the "Quick Launch" button was on all pages. But we can only hope, for now.